Financial regulators continue to caution on the health of the Canadian financial system. Earlier this week, The BIS (Bank of international settlements) released their quarterly report citing Canada, along with Hong Kong & China are flashing early warning indicators of a potential banking crisis. Canada, whose economy grew last year at the fastest pace since 2011 was flagged thanks to its households’ maxed-out credit cards and record high household indebtedness. 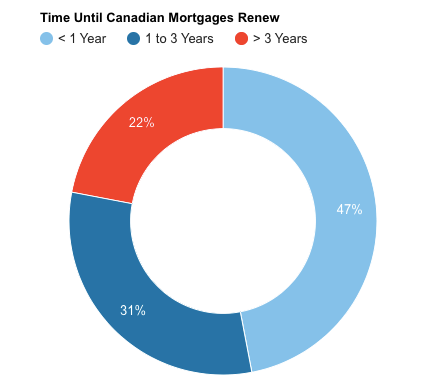 Fortunately, The Bank of Canada believes mortgage renewals would be “manageable for most.” Specifically, citing higher income, and more home equity at the time of renewal to be mitigating factors. Additionally, many borrowers that will renew in the next year, could be locking in lower rates than when they had secured a mortgage 5 years ago. However, Canadian households are already feeling the pinch following the Bank of Canada’s 2017 rate hikes. 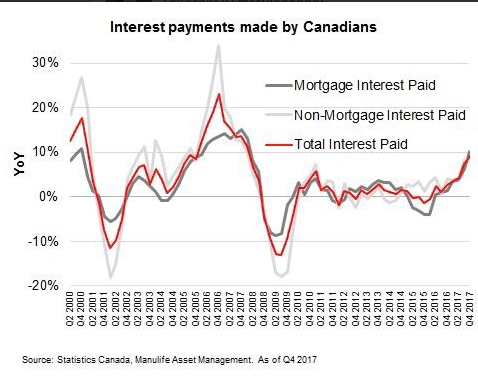 As of the fourth quarter of 2017 Canadians experienced a 9% bump in total interest paid. Prompting the Bank of Canada’s Stephen Poloz to heed caution moving forward. Yet despite recent warnings about the health of the Canadian financial system, on the surface volatility remains subdued. 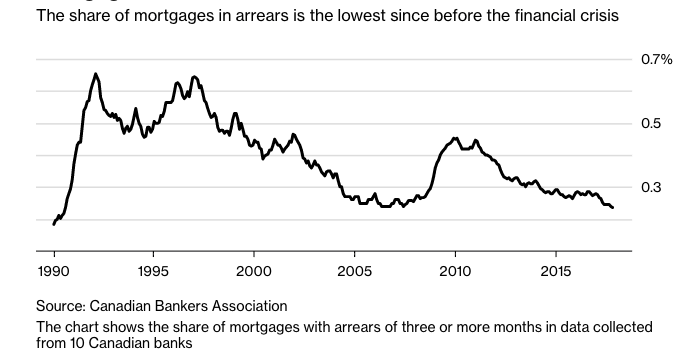 Arrears rate for residential mortgages recently hit a decade low of 0.24 percent, seven basis points below the 10-year average.